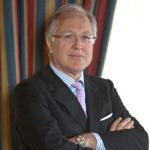 Alberto Pera is Honorary Partner and founder of the Competition and Regulation Department at Gianni, Origoni, Grippo, Cappelli & Partners, which he joined in November 2000. Since then, he has been involved in the most important merger and restrictive agreements proceedings concerning Italian businesses, both in Italy and at the Commission level. He is the current Chairman of Associazione Antitrust Italiana, the association of Italian antitrust experts, He is a Non-Governmental Advisor in the International Competition Network. He has been appointed to various government panels concerning competition policy and regulation. He is listed in the International Who's Who of Competition Lawyers and Economists and is highly recommended as a competition expert by all major legal directories. From 1990 to July 2000 he was Secretary General of the Italian Competition Authority, managing all the Authority's offices and main functions. He represented the Authority before domestic and international institutions, in particular in the Antitrust Director Generals' meetings of the EU Member States and was involved in drafting Community and national competition policies and regulations. A former officer of the International Monetary Fund, from 1987 to 1990 he was a consultant to various Ministers of Industry on competition and regulatory issues. He participated in the drafting of the EC Merger Regulation as a representative of the Italian Government. Alberto holds degrees in both Law and in Economics, as well as a Master in Economics awarded by the London School of Economics. He has taught economics, competition and regulatory law in a number of Italian universities. He is also an independent member of the Board of Directors at ENEL S.p.A. and Chairman of the Board of Directors of Banca Apulia S.p.A.. He has authored three books and a large number of articles dealing with competition law and policy, privatization and regulation. On these topics he is a consultant to ASSONIME (Italian Association of Private Corporations). Alberto is a frequent speaker at conferences and seminars, and member of the editorial board of the European Competition Journal and of Concorrenza e Mercato. He is a member of the Italian Bar. He speaks Italian, English, French and Spanish.